Over the weekend we went to our local Electric Co-Operative's annual picnic. A sweet little old lady gave me this handmade bib for Gauge. Her daughter told me that she likes to carry them with her so that whenever she sees a little baby she can give them a bib. 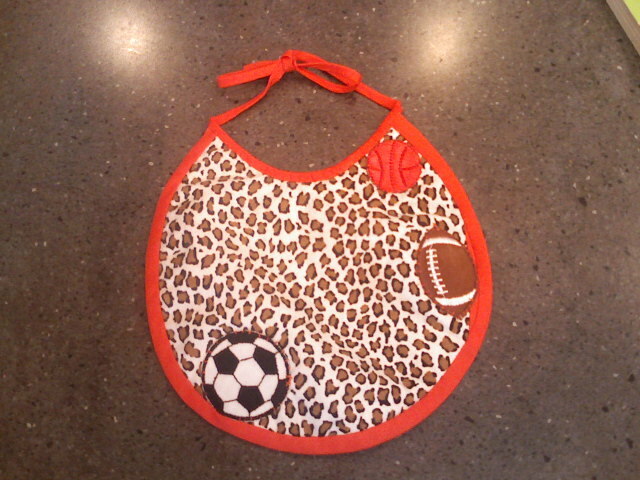 It is an adorable hand stitched bib! Very Thoughtful!